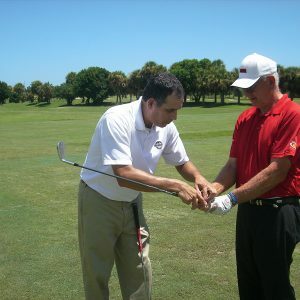 During the USGTF Associate online certification course, you will learn all aspects of teaching the game including the full swing, faults and cures, short game, rules of golf, ball flight laws, golf psychology, clubfitting, video analysis and marketing techniques. Associate members will be able to effectively teach beginning to intermediate golfers. It is not necessary to become an Associate member prior to becoming a Certified Golf Teaching Professional®. The Associate certification course is provided as an option to make it more convenient to progress in the industry comfortably at your own pace. A USGTF Associate Member is one who has successfully completed the online course, but has not yet completed the on-site verbal teaching and playing ability tests. *Please Note: This course is for residents of the United States only. Please view the WGTF Member Nations page for courses offered in your resident country at www.wgtf.com.